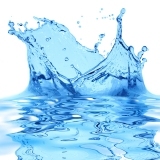 This three-day course provides an excellent introduction to Water Damage Restoration. Focussing on the theory behind the practice, this course concentrates largely on the subject of Psychrometry, the 'science of drying'. This illusive subject is often overlooked but is fundamental to successful drying. The course also covers the necessary basics needed to start attempting water damage claims. Students will benefit from lectures, discussions and short video as well as expert instruction. At the end of the course students can take the IICRC Water Restoration Technician (WRT) examination to gain an internationally recognised qualification. This course is a must for those wishing to tackle water damage claims and is a prerequisite to IICRC Applied Structural Drying.